Many shop bought products contain extracts of coconut—often through use of the oil or milk. Hair conditioner, for example, may contain extract of coconut, but the coconut fragrance may be artificial. Organic coconut oil has the faint smell of tropical islands. It doesn’t need an artificial fragrance. 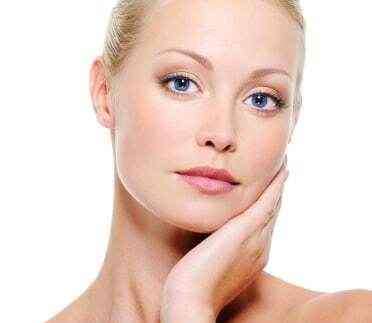 Choose natural products for your skin and hair, as the skin is a living-breathing organ. Take care of it, respect it with nourishing ingredients, and it will reward you with an inner glow, reduced wrinkle formation, and a healthy pH level. Natural products are best for the skin. The skin was never designed to absorb most of the petrochemicals found in shop bought products. Deodorant, for example, contains many ingredients that are difficult to pronounce, but because an athlete or celebrity endorses it, we believe it’s safe to use. The celebrities most likely do not use the items advertised on TV. They are paid a lot of money to promote the product, so that you buy it. There is a feel-good factor when it has a beautiful face behind it. The beauty market and its marketing team spend millions on their campaigns, and they work successfully. Not everyone has to follow the status quo. Not only does coconut smell fresh with its natural fragrance, but also it softens the skin. Many people may not be aware of the natural sunscreen in coconut oil. It contains a sun protection factor of approximately 10. Many shop bought sunscreens contain an array of chemical ingredients that are difficult to pronounce and spell. Why would you place such a product on your skin, when coconut oil will protect your skin just as effectively? Why do liver spots appear on the hands as we age? They are caused through sun damage. Therefore, smothering the hands in coconut oil will help to reduce aging liver spots. The Polynesians rely on Coconut oil in their diet and skincare. They apply the oil on their skin and experience very few blemishes. In addition, the oil acts as a natural sunscreen and protects the skin from sun damage that can lead to cancer. If the Polynesians can avoid cancer living in blistering hot weather, why can’t we? Coconut oil absorbs into the connective tissues of the skin. At this level, the coconut oil can work wonders on damaged or diseased skin. What would you prefer to place on your skin? Natural coconut oil or a sunscreen packed with manufactured ingredient, which may potentially make your skin more prone to aging. Regular exfoliation helps the skin to renew, and coconut oil helps to slough away dead skin cells to reveal youthful skin beneath. As the skin sheds its dead cells, the coconut oil actually strengthens the underlying tissues of the skin, thereby acting as an anti-aging skincare oil. Coconut oil is incredibly nourishing for the skin. It can help individuals who experience dry skin, and the application of coconut oil can often provide immediate relief from irritation. Coconut oil spreads effortlessly over the skin. Apply the oil sparingly to the skin and massage it in well. Too much oil can leave the skin with an oily sheen, so apply only a small amount at a time. Individuals with very dry skin can continue to reapply coconut oil during the day. Regular use of coconut oil will help to improve the look and feel of the skin. The problem with shop bought moisture lotions is that they are not designed to heal the skin at the cellular level. Coconut oil does much more. Not only does it remove dead cells, and soften the skin, but also it will improve the health of your skin. 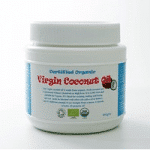 Invest in the wondrous organic coconut oil for your skin. Use it as a moisturiser, hair conditioner, and for cooking and baking.